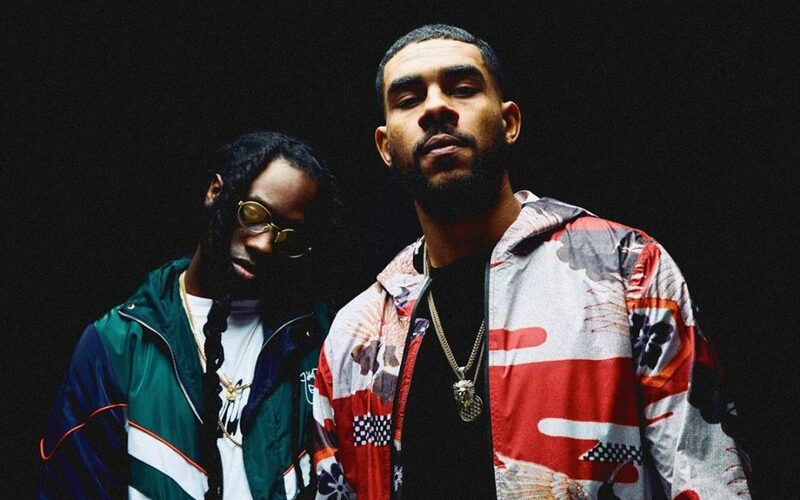 WSTRN the musical trio signed to Atlantic records concluded their Dou3le 3AK tour in their home time of London on Tuesday 20th November, following their Manchester (Sunday 18th) and Birmingham (Monday 19th) dates. The concert was SOLD OUT at Islington Assembly which had the capacity of 800 including 200 seats upstairs within the venue. The host for the night was the talented Rinse FM Media Personality @damshaq who was absolutely amazing from start to finish. He kept the crowd engaged, laughing, energised and buzzing. From his dancing to jokes, to taking off his top (not a bad body either). He is definitely a host I remember and one who I personally feel is one to watch for 2019. Starting the night off were the talented supporting acts Zie Zie, the performance was short yet sweet, maintaining the crowd’s energy. Followed by Big Zeeks and Shellington High Road which consists of Big Zeeks, E.Mak, Diggy Ustle, Tinesakamarley and Indie. The aura this label brought to the stage was something different, a cross between a Jamaican stage show and UK Dancehall with an urban twist. Big Zeeks stage presence was very engaging as he serenaded a fan in the beginning and followed with a vibrant set displaying maximum energy from all members of the label. Indie was the highlight of the supporting acts. Not only was she the only female but the lyrical content and flow this young lady displayed was talent at its finest. The crowd erupted 10 seconds into her performing her verse on the labels recent single Bad Chune. Indie is definitely one to watch for 2019. Wstrn finally hit the stage with opening visuals from Akelle, the 3rd member of the trio, which the fans found touching and personal, a lovely touch to keep him included whilst he is away. The boys had tremendous stage presence, Haile displaying an exceptional vocal range and Loius Rei with his unique tone. The crowd went absolutely crazy to their hit singles Txtin, In 2, Love Struck & Ben Ova. Wstrn also performed their individual hits with some of the UKs biggest artists, such as Avelino (So fine), Skrapz (Round here), Dolapo (Down), Ramz. One Acen (Visa Versa/Best Life) and Hardie Caprio (Best Life), sending the crowd into an all-time high. Special guests also included Ambush & Unknown T. Concluding their homecoming show they made a tribute to their Manager Morgan Keys for his birthday which was a sentimental touch. Wstrn made a clear effort with the production of their tour as the visuals were colourful and pleasing to the eye. Their energy and vibe was extremely positive & charismatic for the duration of the concert. The duo was appreciative of their fans and thanked them profusely as well as putting on an extraordinary performance.